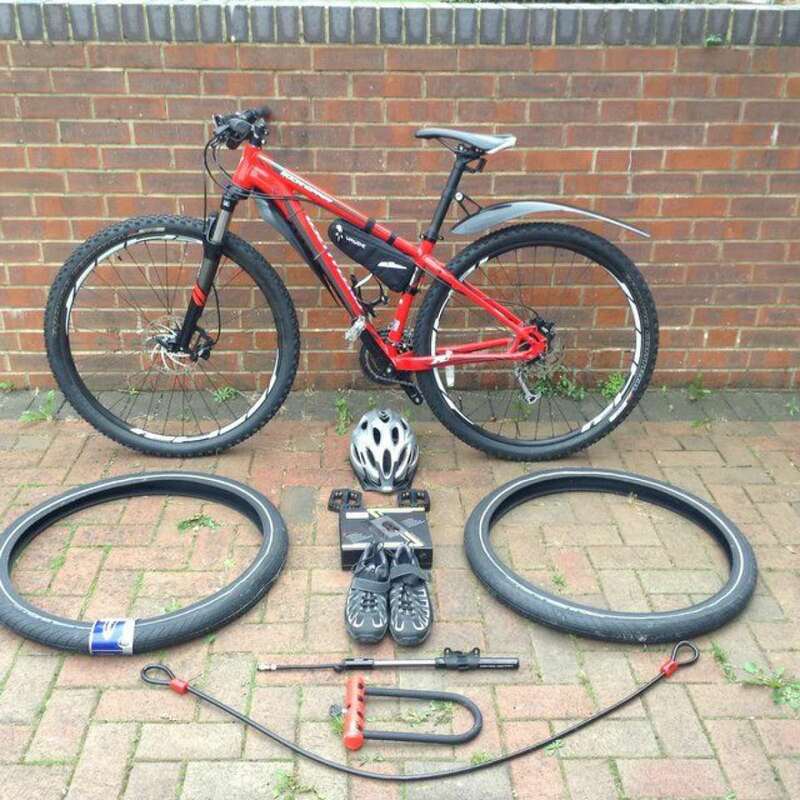 2014 specialized Rockhopper bike for sale with accessories. 29x21 inch wheels, SP shocks on the front disc brakes, 27 gears. 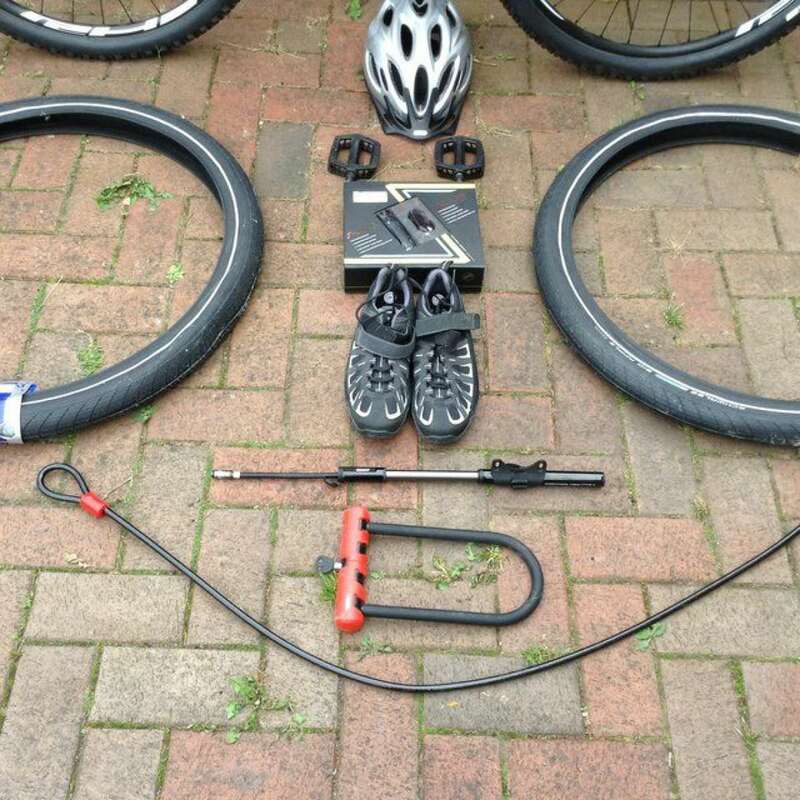 Comes with new on and off road tyres, LED lights, cleat pedals and size 8 bike shoes, helmet, mini pump and U lock. Please see photos for accessories. A lot of bike for your money. Bike used a couple of times only, immaculate condition.